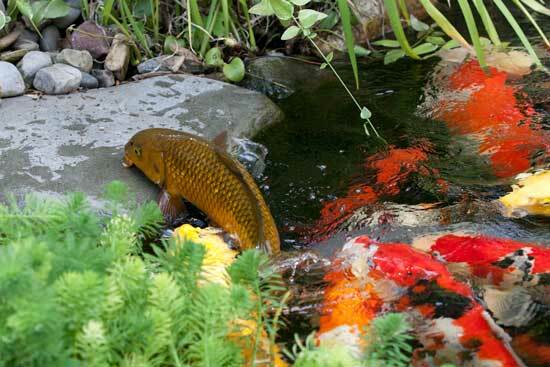 Maintaining a pond is the key to keeping a pond crystal clear and to keep your koi healthy. 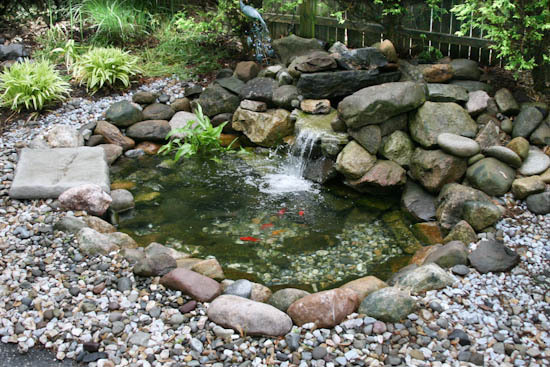 Every pond is different and has its own maintenance requirements. A ponds needs may change from season to season as well. 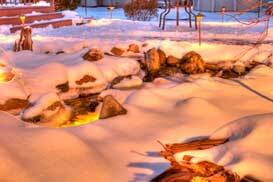 To address this, we offer weekly, bi-weekly and monthly routine service programs for those clients looking for perform minimum maintenance on their ponds or looking to hire an expert do these services for them. We also offer Spring startups, cleanouts, and winterizations for those clients who can handle the pond maintenance during the season. 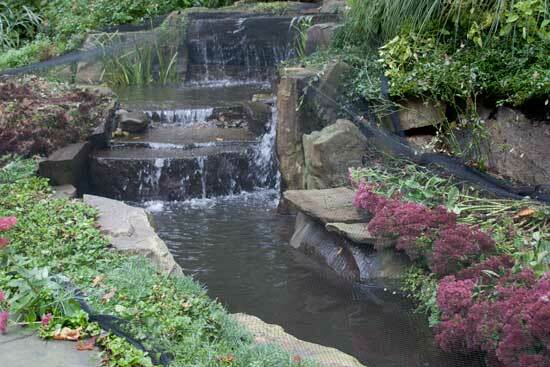 Reinstall pond pumps to turn waterfalls back on. Reinstall filters and UV Lights. 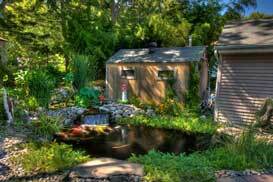 Remove leaves and debris from the pond. Check water chemistry and adjust as needed. 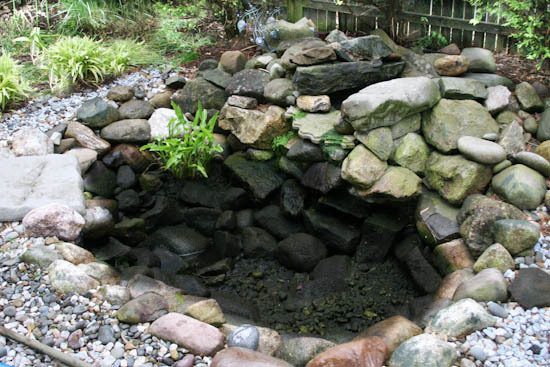 If you have an aquascape system you need to do a pond cleanout yearly. Aquascape Design Systems require a yearly cleanouts. Drain the pond, this water can be great to fertilize plants. Remove debris and wash the pond making sure to wash as much muck as possible. Rinse as many times it takes to be clean. 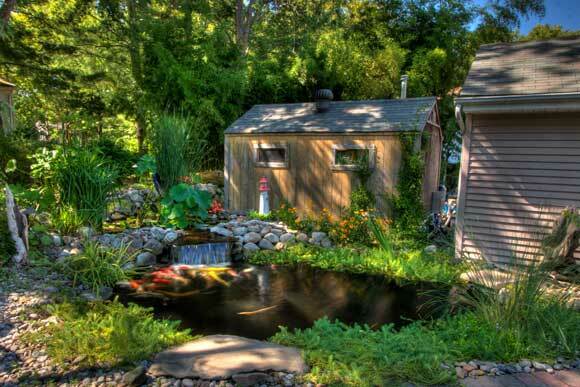 Refill the pond, dechlorinate, and acclimate fish. When fish are introduced back into the pond it is essential that the new water is the same temperature, ph, and alkalinity. 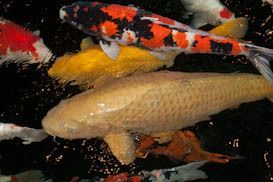 Monitor water chemistry (ph, ammonia, nitrite, ammonia, alkalinity, general hardness and temperature) and fish health. Skim Surface and bottom of the pond for debris. Add water treatments and dechlorinator as needed. Clean excess algae from waterfalls. 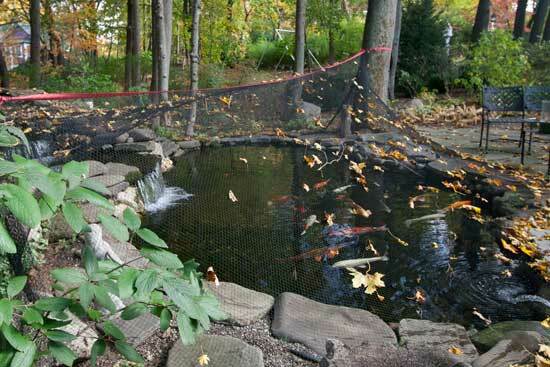 Installation of a leaf net in the fall is very important. It keeps the leaves from sitting on the bottom of the pond and decomposing over the winter. Leaves sitting in the pond may discolor the water and may contain toxins that can harm your fish. This service is preformed early October. 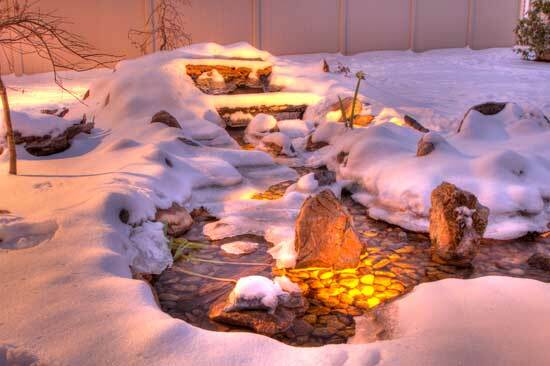 Most water features should be shut down your pond in the wintertime. With the cold weather filters and pipelines can freeze and crack. These items will need to be done. All filtration equipment will need to be winterized. All plumbing lines will be blown out with compressed air.